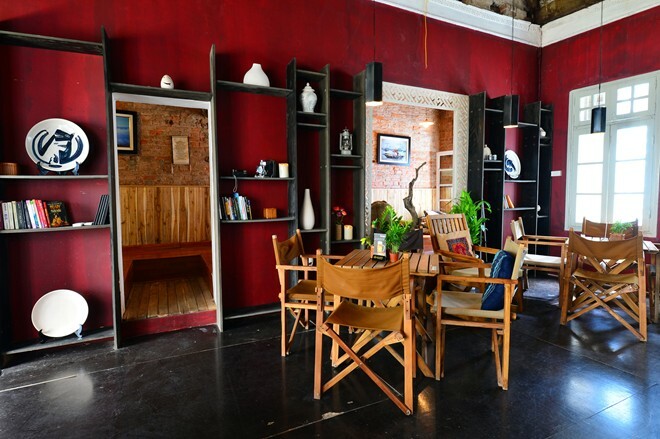 The characteristic feature of the shop is to use rustic furniture, shows common pictures. 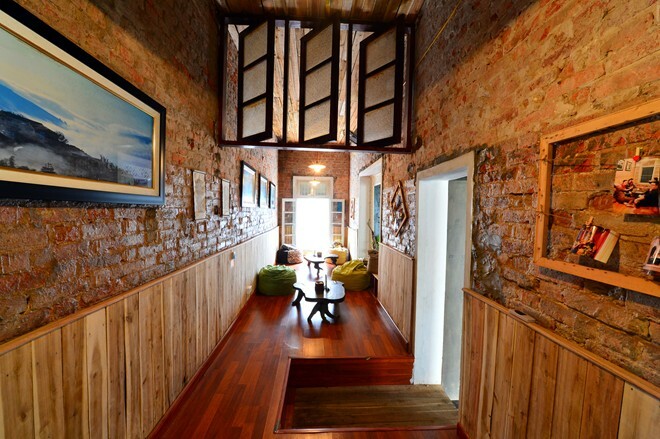 Customers coming here will feel a quiet space between noises of the Old Quarter. The café shop is located in a small alley Phat Loc. 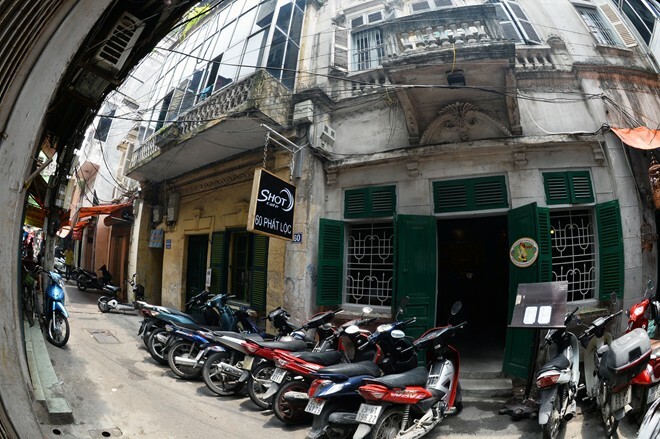 To come here, customers have to go through a series of famous fried tofu and shrimp paste in the Old Quarter. 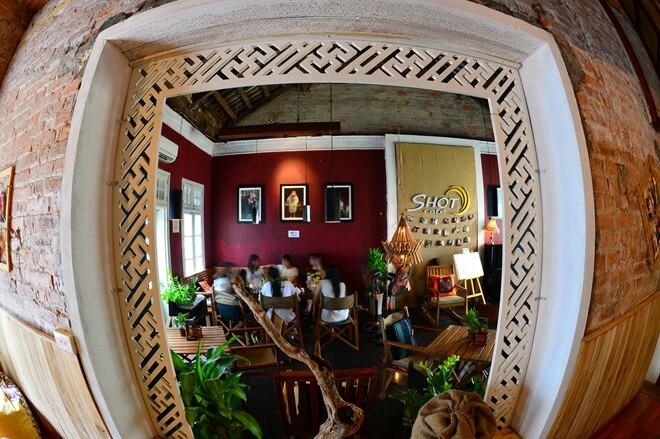 The shop’s owner names the shop “Shot” because he has a passion for photography. 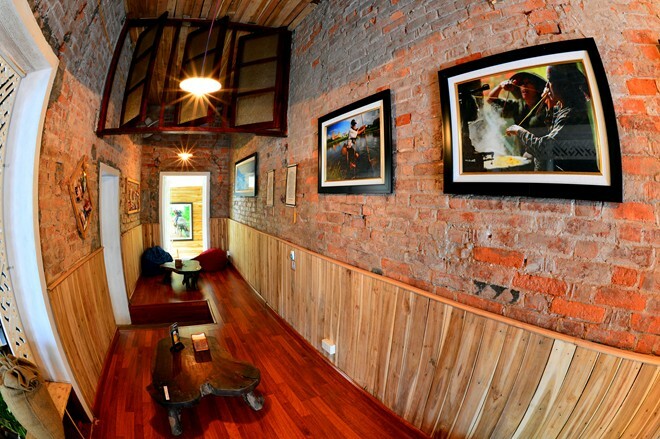 Inside shop is designed in rustic style; furniture is not be painted or covered with varnish. 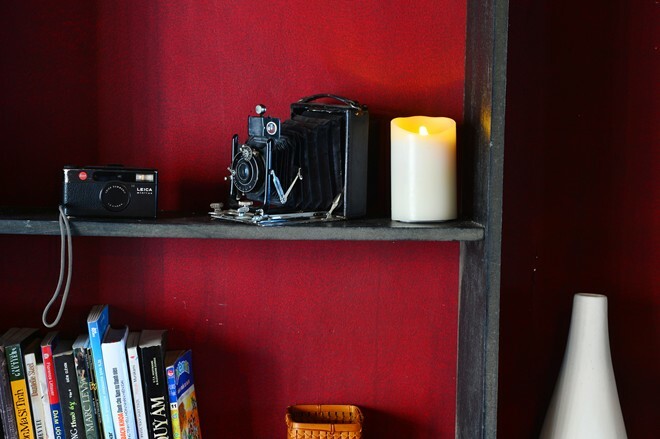 To highlight nice pictures, the shop owner painted walls in red brown color. 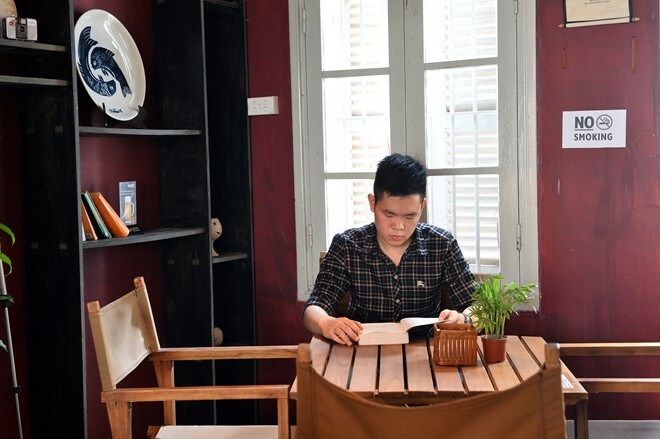 The shop has two floors; each has width of 100 square meters. It actually is an ancient French house. 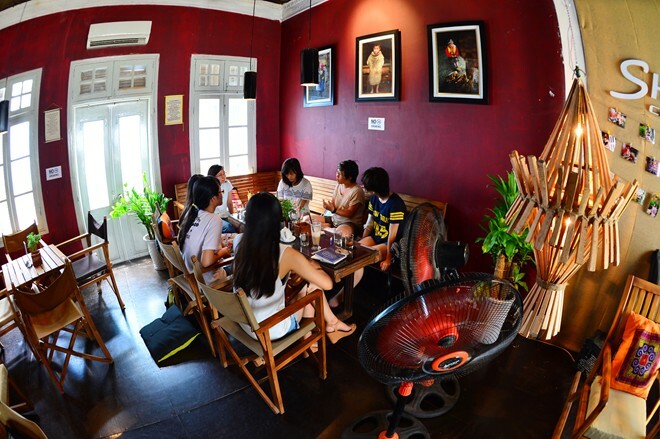 In period of French colonials, the house was famous Long Thanh restaurant. 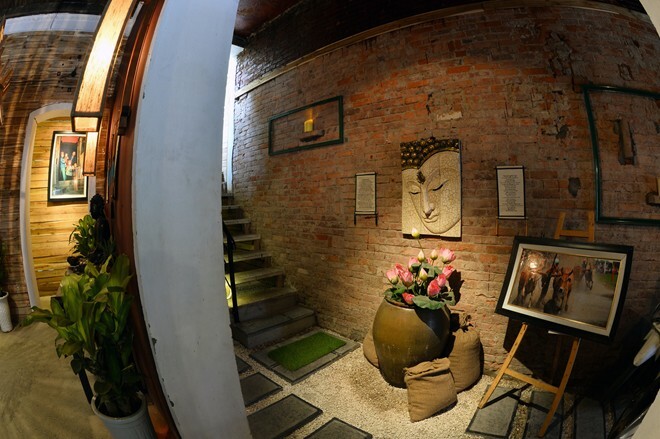 Recently, it has become an eating and drink restaurant but not succeeded, hence it was left empty. 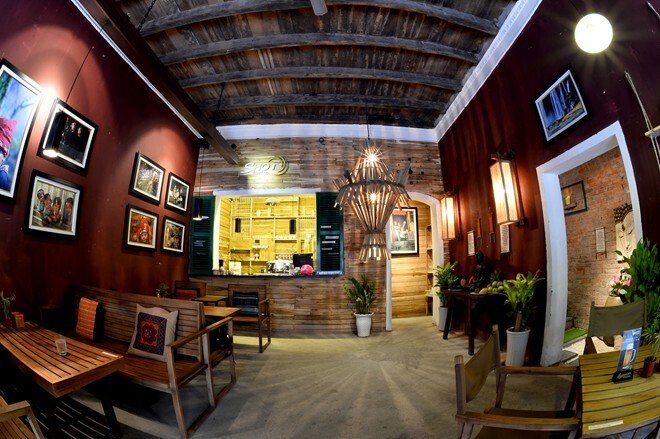 Two months ago, Photographer Nguyen Viet Thanh and young architect Le Ngoc Anh decided to redesign and invested VND 500 million to satisfy their café passion. 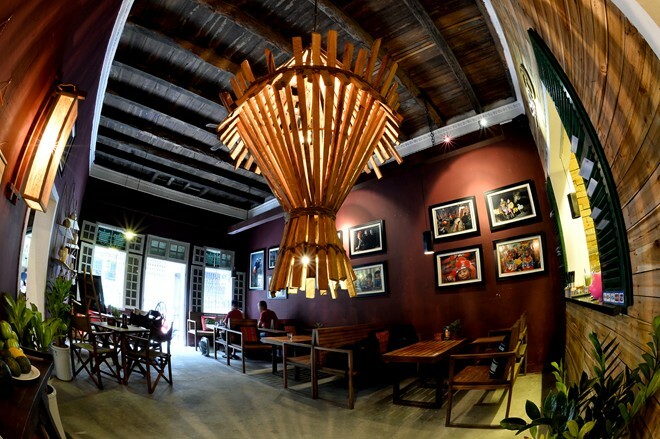 Ngoc Anh has won two international awards of architecture in 2009 and 2010 at Russian Federation; hence the design work for a small café did not challenge him much. 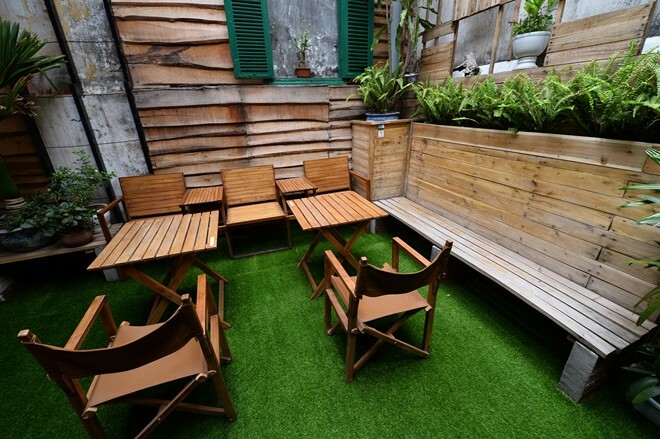 Between two floors is a space as a garden serving customers in group. 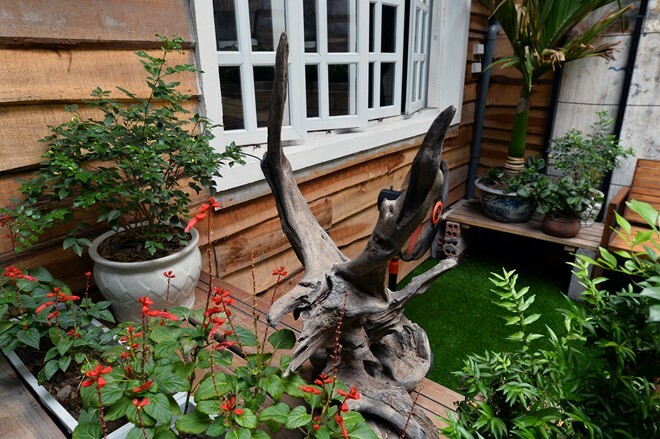 This area is decorated with a nice artificial grass carpet. 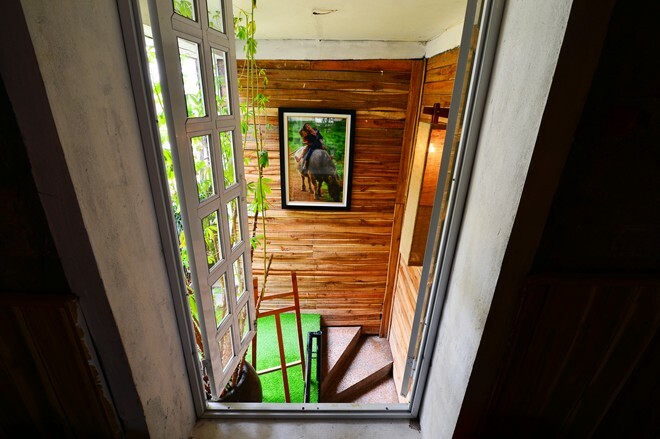 Right in the 2nd floor entry, the innkeeper exhibited a driftwood tree with eagle shape that he took from the Quan Lan island (Quang Ninh). In a quiet space like this is very suitable for guests preferring privacy, and want to dismiss affliction of life. The picture works hung here were made by the Viet Thanh. 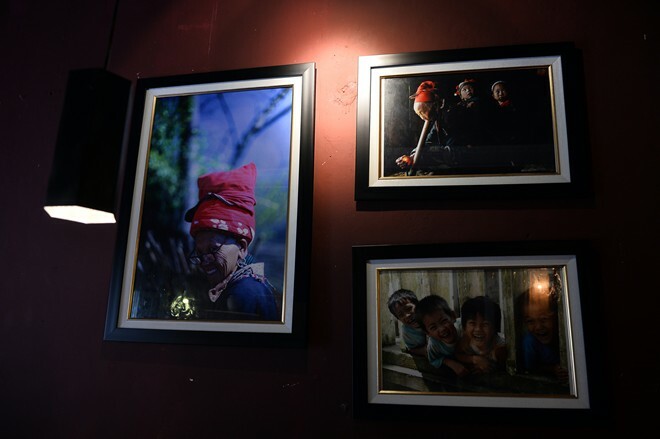 Each month, his colleagues are able to organize photography exhibitions here. 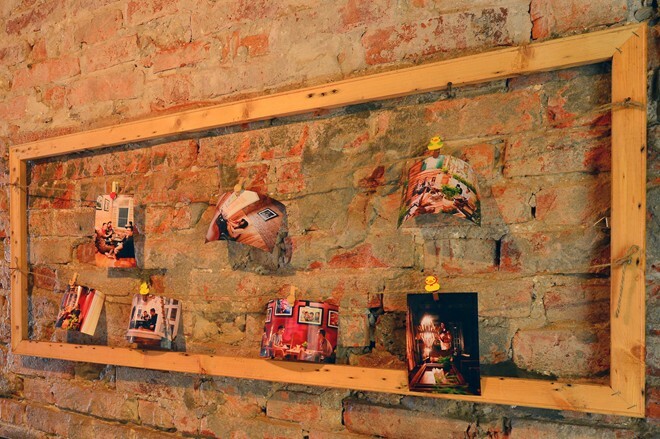 Pictures of guests are hung on unplastered walls. Instrumental music, international music or melodious and gentle songs are played. 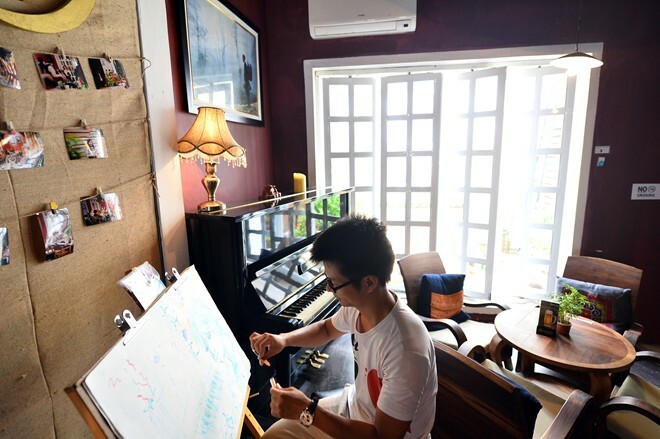 In addition, visitors can enjoy coffee or play piano or draw.